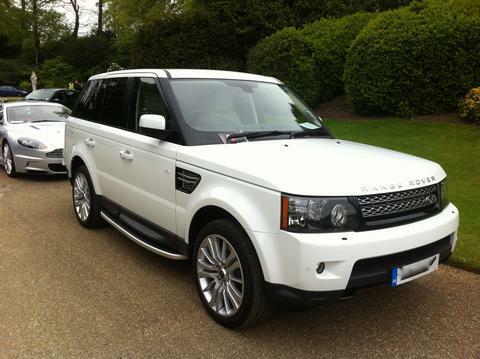 2012/12 Land Rover Range Rover Sport 3.0 SDV6 HSE covered 80,600 miles in Metallic Santorini Black. 8-Speed Automatic. Finance Available - PCP and Hire Purchase at competitive rates. Part Exchange Welcome. Complete with Full Service History - last major service around 5,000 miles ago. 2 Owners From New. Good condition for the age and mileage. HPI Clear. 12 Months MOT. Top specification HSE model including Satellite Navigation with Colour Touchscreen, Full Ebony Black Oxford Leather Interior with Ivory Contrast Stitching, Variable Heated Front and Rear Seats, Electric Front Seats, Rear Privacy Glass and much more. Fitted with the 3.0 SDV6 Advanced Sequential Turbo Diesel Engine producing 256hp through an Eight-Speed Drive Select Automatic Transmission with Paddle Shift. Complete with spare remote key, all handbooks, service booklet and Land Rover leather wallet. For more information please visit our website or call us on 07929 902 358. Viewings arranged by appointment. Part Exchange Welcome. Finance Available - we are fully FCA registered and offer finance through MotoNovo Finance and others. All of our vehicles come complete with a nationwide warranty included in the price - arranged through A1 Approved Ltd.
See our website for full vehicle stock-list. Find us on Facebook at GB Performance Cars. WE BUY CARS FOR CASH. We are always looking to purchase Performance, Sports and Hot Hatch models. We offer a hassle-free, quick and honest service. Visit our website for more information.